Tag: accounting, CSUF in the 1960s, early CSUF alumni, executive council, HBLA Certified Public Accountants Inc.
For more than 50 years, Vic Hausmaninger ’64 (accounting and finance) has been a leader in supporting Mihaylo College’s business program, serving as the founding president of the Executive Council, a member of the Accounting Advisory Board and the President’s Advisory Board, and representing the college in the business community. 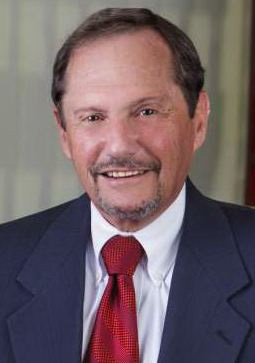 He is part of the Mihaylo College/Orange County Business Council committee that sponsors the annual Woods Center for Economic Analysis and Forecasting Economic Forecast, utilizing the research of the center and attended by leading business executives from throughout Southern California. Hausmaninger is the founding partner of HBLA Certified Public Accountants Inc., an Irvine-based CPA firm offering business advisory and consulting services, strategic financial planning, executive mentoring, auditing, tax support, and tax planning and compliance services. How is your personal story connected with your desire to give back? My family and I were immigrants from Austria, who came to the United States a decade after World War II. When we arrived in Anaheim, we had very little earthly belongings and most essentials, including clothing and furniture, were donated to us. I am sure you can understand that, as I look back, I am very appreciative of America and the opportunities it has provided for me and my family. I graduated from Anaheim High School and Fullerton Junior College [now Fullerton College] before transferring to Orange State College, as CSUF was then known, which was a much smaller institution than it is today. I lived at home and worked part-time while I studied here. Since my graduation, I have contributed to the business program and the university generally in a number of ways, including starting the Executive Council in 1972, which has raised more than $6 million for student scholarships and other student-focused programs, and serving as its president for about 20 years; being the commencement speaker for the college around 1980; participating in the search committee that selected Anil Puri as dean; and having a rapport with every CSUF president and business school dean through the years. I am still going strong, serving on the Advisory Board of the Department of Accounting and the Board of Directors of the Executive Council, and recently participating in the interview process for the selection of a new dean for the college. 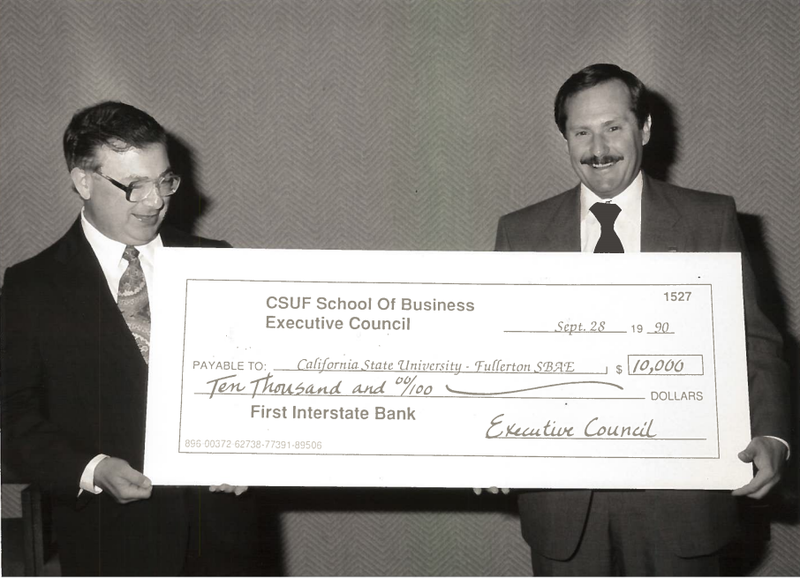 As Executive Council president, Vic Hausmaninger ’64 (left) provides funding from the council to the business program in this 1990 photo. What have been the highlights of your accounting career? It might come as a surprise that I don’t like accounting; I like business. However, accounting has given me the basis for understanding how business works and the information it makes available for entrepreneurs to strategically plan for their future. I am proud to state that the highlights of my career have been helping other entrepreneurs and business owners make more and keep what they’ve made through strategic business and tax planning. It is truly an honor and privilege to work with the business community. After graduating from Cal State Fullerton, I worked for Arthur Andersen & Co., one of the top international accounting firms, until 1975, when I agreed to assist the Billy Graham Evangelistic Association with various financial matters, including acting as chief financial officer of Billy Graham Film Ministries. After three years in the ministry, I returned to the business world as an audit partner for Deloitte & Touche in Orange County. 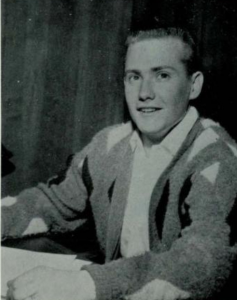 As a student, Vic Hausmaninger ’64 served as treasurer of Associated Students, the predecessor of today’s student government. Photo from University Archives and Special Collections. In July 1985, I was encouraged by entrepreneurs to start my own accounting firm and bring the standards and quality of the large firms to the local business community with lower rates and more personalized services. I started with three partners, who were specialists in accounting and auditing, taxes, and business planning. I believed then, and still do today, that knowledge is power. Coupled with a commitment to service, we felt that the three of us could bring whatever was needed to the local business community. We still have the same partners after 33 years, as well as new younger partners and professionals who have joined in the interim. How has the accounting industry changed in the past 50 years, and what are some of the trends that are currently transforming the field? Clearly, my profession has become a lot more competitive. Years ago, when we made a proposal, we used to call the firm that was serving the client to give them a “heads up.” Things like that don’t happen anymore. An ongoing change that I believe enhances the quality of our work is the impact of technological advances and tools on how financial audits and tax services are being rendered. Gathering and interpreting data and financial information has become a vital part of audit services and has contributed greatly to business planning and strategies to improve managerial operations, efficiencies and profitability. This has resulted in changes in accounting education. Today, in addition to accounting and tax coursework, accounting students should take courses on dealing with technology, including information technology and translating data into meaningful strategies. Much has been speculated about the new Tax Cut and Jobs Act of 2017, which has come into effect this year, and what impact it may have on the accounting industry. I believe that for most public accounting firms, the new law will increase their customer base, since it provides many opportunities for business and personal tax planning. The businesses that will be most adversely impacted will be tax preparation services, since many individuals will not need to file their return with a tax preparer under the new act. For example, with higher standard deductions, $24,000 for a married couple, itemization may no longer be advantageous. But overall, the accounting industry will continue to be strong. 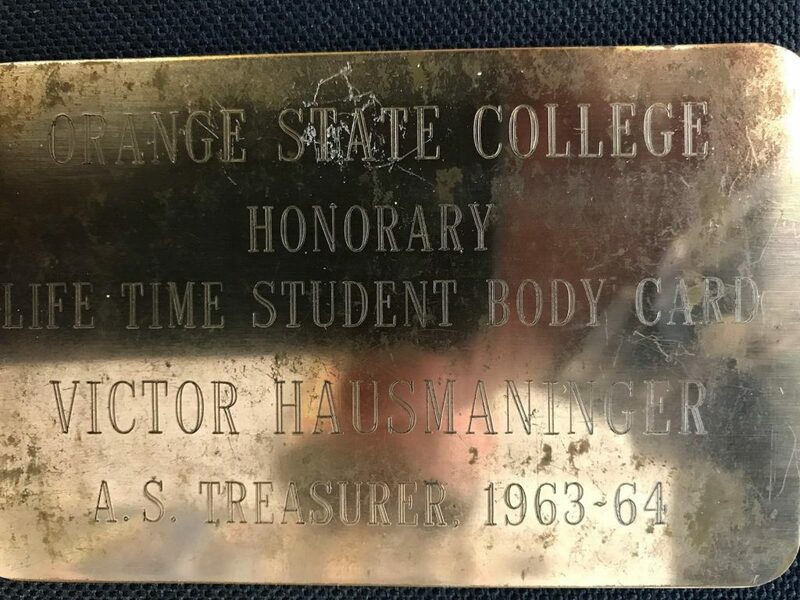 When Vic Hausmaninger graduated in 1964, he was presented with this metallic card to signify his alumni involvement at Cal State Fullerton, then known as Orange State College. What is your advice for students or recent graduates seeking a career in accounting? How can they get started in the field? First, clearly define what you would like your career path to be. Graduating from Mihaylo with a focus in business assures you a solid foundation that you can be proud of. Next, carefully select the company that you want to affiliate with and make sure that the values and goals of the company align with yours. You don’t want to just have a job; you want to have a position where you feel you can contribute and make a difference, a position where you feel valued and appreciated. And whatever you do, give it your 110% best. You want to be seen and known as a person who works hard, cares about what you do, and is proud of the contributions made. Have great mentors. I was fortunate to have excellent mentors who not only taught me technical and communication skills but how to utilize these abilities to help the business become more successful. Be patient! You won’t be an executive when you start out, but you will be one, if you work hard and differentiate yourself from others. What advice would you give to alumni on why they should support their alma mater? As I look back over my career, some of the key areas that helped me get through the hard times and assisted in my progress were my faith in God, my family, my friends and never losing the appreciation of what has been given to us – a great education. If you truly accept that, start by giving back. As I have done at Mihaylo and CSUF, get involved with the Alumni Association, the Mihaylo Executive Council or as a volunteer mentor for younger students. I have given of my time and resources – and so can you!